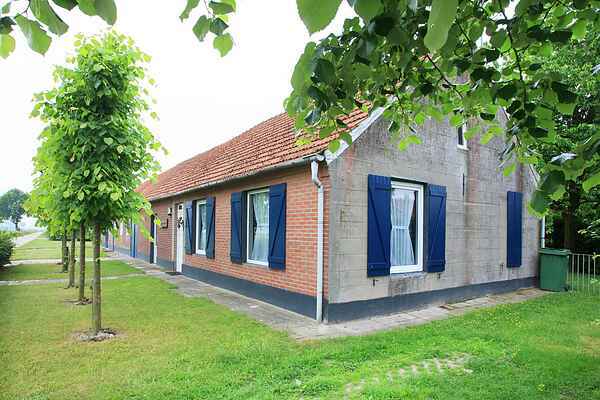 This pleasant holiday farm is entirely furnished in the old Dutch style, complete with a number of typically Dutch objects such as clogs, Delftware and even authentic piss-pots. But there is also no lack of modern comfort. For instance, the house has a large kitchen with adjacent sun lounge/winter garden and four bedrooms. Another plus is the enclosed garden where you can sit shielded from the wind. The farm is fully detached, and in a very rural setting. You look out over the farming fields and woodland. The Wessem-Nederweert canal is just 200 metres away. Here you can walk, cycle or go fishing. There is an extensive network of bike and footpaths through the woodsy borderland of the Netherlands and Belgium. The nearby town of Weert provides a whole range of shops, restaurants and nightlife. The historic town centre of Roermond, where you can shop till you drop in the well-known outlet centre or enjoy the Limburg hospitality in one of the many catering establishments, is highly recommended.